Turnover is complicated. Unicorns are mystical. 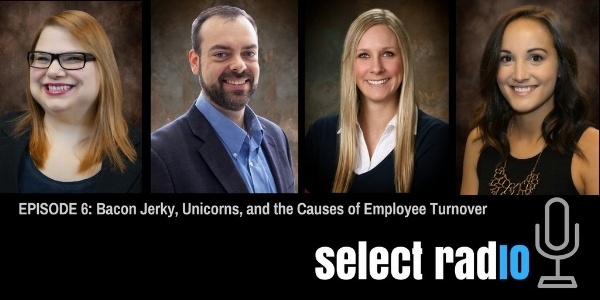 Listen as we chat with our turnover experts, Dr. Ted Kinney, VP of Research and Development, and Dr. Alli Besl, Senior Research Consultant about what causes employee turnover, its effects, and how to reduce it. And we all learn something new about unicorn horns. Our snacks of the day during this episode? Bacon jerky and, of course, cherry turnovers. "There are many successful CEOs that will say, 'I don't care what skills they have, give me someone who fits my culture and is willing to learn and I'll teach them what they need to know.'" Our fourth episode brings us to the topic of hiring for motivational fit. 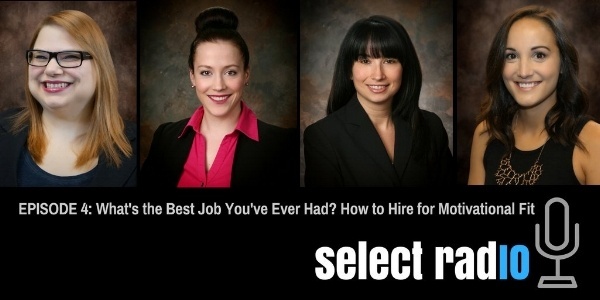 We’re joined by Consultant Lindsey Burke and Senior Consulting Associate Megan Why to touch on what it is, why it’s important, and how to measure it in the hiring process. More importantly, we discuss travel snacks, shortbread cookies, and Lindsey's adorable puppy! 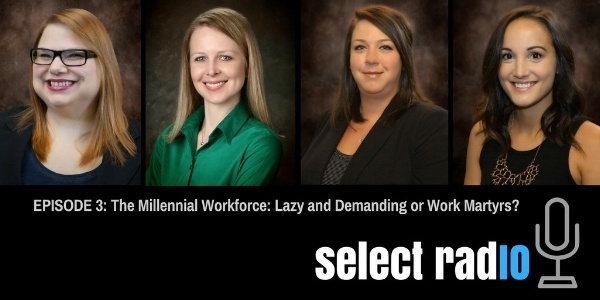 The Millennial Workforce: Lazy and Demanding or Work Martyrs? 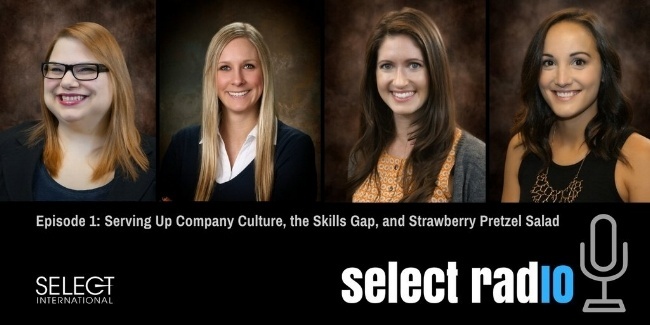 In our third episode we chat with Senior Consultant Alissa Parr, Ph.D., and Consulting Associate Cassandra Walter about Millennials in the Workplace. They’re both Millennials (and pastry lovers! ), but are on opposite ends of the age range. We cover many of the stereotypical attributes of Millennials (lazy, entitled, demanding, unmotivated, job hopping) and talk about if those are in fact true or if they are misconceptions. 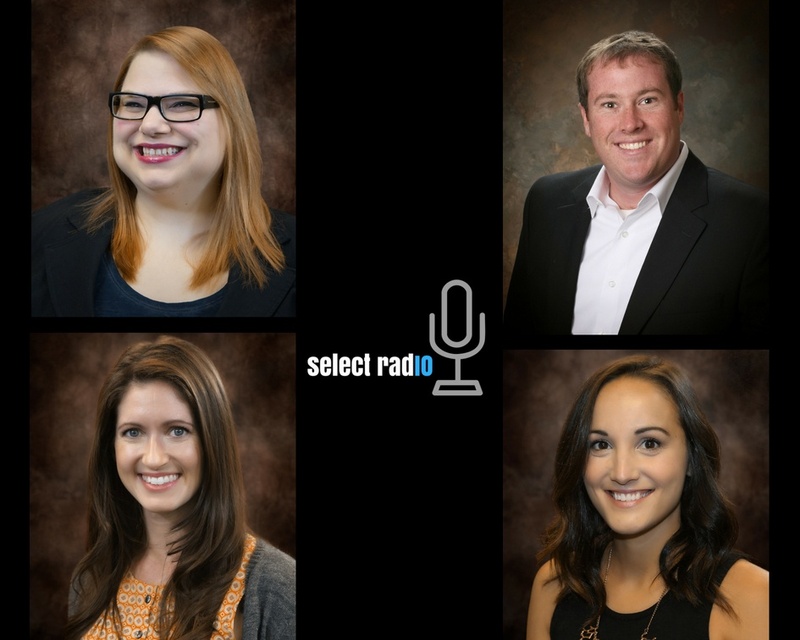 Our inaugural select radIO podcast is live! 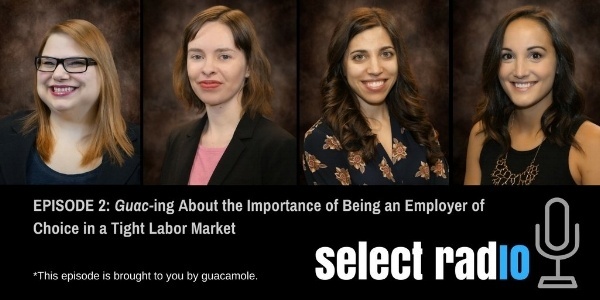 In this episode, we start out by talking a little bit about what we do as Industrial/Organizational Psychologists and consultants here at Select International, a little bit about our company culture and why we love working here, and we dive into some currently trending topics in the HR and I-O Psych world. 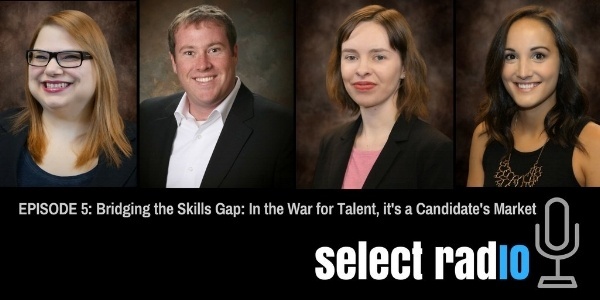 We’ll have a revolving panel of guests on the podcast each episode to talk about employee selection, HR topics and news, hiring tips, workplace trends, leadership, employee safety, healthcare hiring, and more.